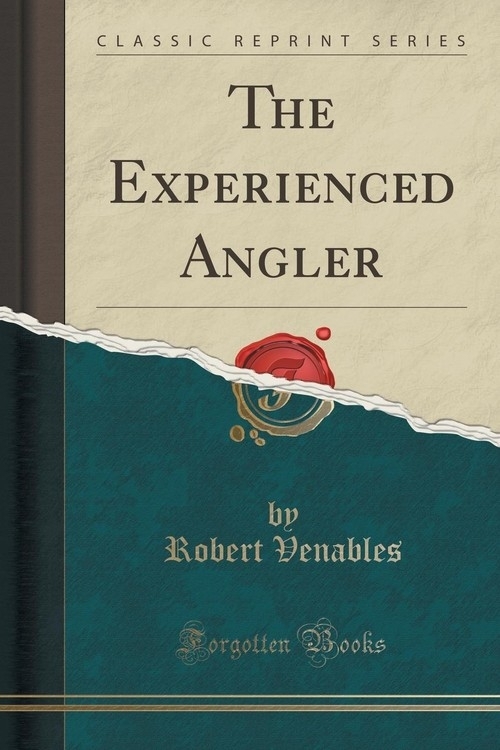 Excerpt from The Experienced Angler<br><br>Of the author, Colonel Robert Venables, but little is known, and that little not very satisfactory. Among the Manuscripts in the Harleian Collection, are several Pedigrees of the Families of Venables: particularly in that marked &apos;1393, f. 39,&apos; where the great ancestor of Venables is stated to have been Gabriel Venables, who came over with William the Conqueror, and afterwards received the Earldom of Kinderton, in Cheshire, from Hugh Lupus. Another Manuscript, No. 2059, recites a deed from one of the family, residing at Northwich, as early as anno 1260.<br><br>But reverting more immediately to the subject of tills notice, the Harleian Manuscript &apos;1993, f. 52.&apos; contains a paper, partly in the hand writing of Colonel Venables, which furnishes a detailed account of the time he served in the Parliament Army in Cheshire, and of the pay due to him from 1643 to 1646. From this authority it appears, that in 1644 he was made Governor of Chester; and from other sources we learn, that in 1645, he was Governor of Tarvin.<br><br>About the Publisher<br><br>Forgotten Books publishes hundreds of thousands of rare and classic books. Find more at www.forgottenbooks.com<br><br>This book is a reproduction of an important historical work. Forgotten Books uses state-of-the-art technology to digitally reconstruct the work, preserving the original format whilst repairing imperfections present in the aged copy. In rare cases, an imperfection in the original, such as a blemish or missing page, may be replicated in our edition. We do, however, repair the vast majority of imperfections successfully; any imperfections that remain are intentionally left to preserve the state of such historical works.